While we love summer and short season as much as the next guy, there comes a time to invest in the best hiking pants. When the air gets colder and the trail a little more rough, they will come in handy. We tested out some pairs, asked around, and did a little research of our own to narrow it down to our favorites. What Are the Different Materials of Hiking Pants (and Which One is the Best)? Generally speaking, the best hiking pants for men are made from synthetic materials. While it sure is tempting to throw on a pair of cotton shorts, don’t. When you are gearing up to head out on a hike, it is important to have all of the right essentials. Make sure you have a solid hiking backpack, maps, sunscreen, a compass, and a checklist for gear to bring. It’s also important to wear the right travel apparel. If you don’t, that hike could quickly become a negative experience. 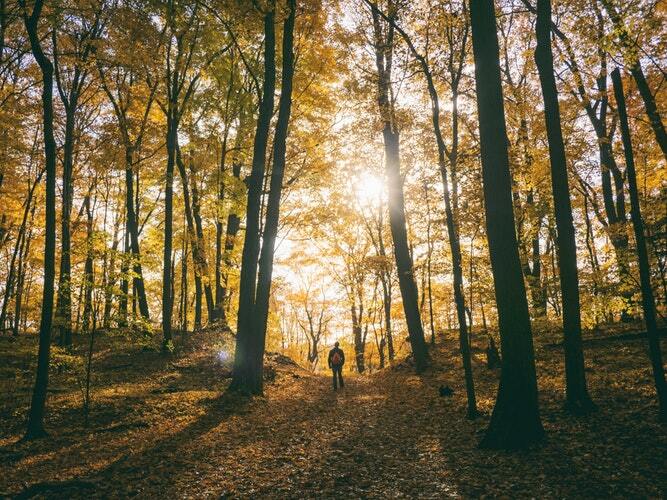 Know what type of trail you will be on, the weather and climate, and plan accordingly. With this said, there are standard materials the industry seems to have adopted. One of them is the use of techwick material in base layers. Besides being moisture wicking, fabrics like techwick also are anti-odor. Whether you choose to wear shorts or invest in the best hiking pants is up to you. It’s important to consider the pros and cons of each before you decide to invest. If you’re hiking in the heat of the summer or traveling somewhere hot, shorts are a good option for you. However, pants offer durable fabric, protection from the elements, and coverage in the event of hiking in colder weather. The best hiking pants are made from a synthetic material. Quick-drying fabrics like nylon and spandex should be worn if you’re anticipating a drop in temperature. More often than not, you’ll run into some heavy vegetation along the way and be grateful for the purchase that you made. Wearing pants will also keep your legs safe from thorns and hazards like poison ivy. If you haven’t made a purchase from 5.11 Tactical before, you’re missing out. 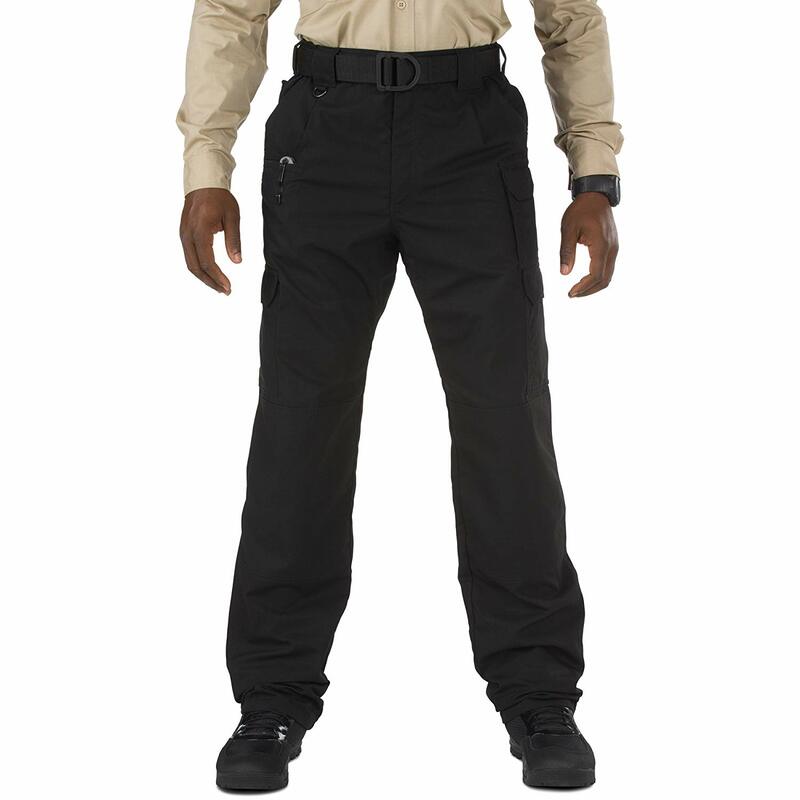 There’s a reason why the Taclite Pro Tactical Pants are a best-seller. 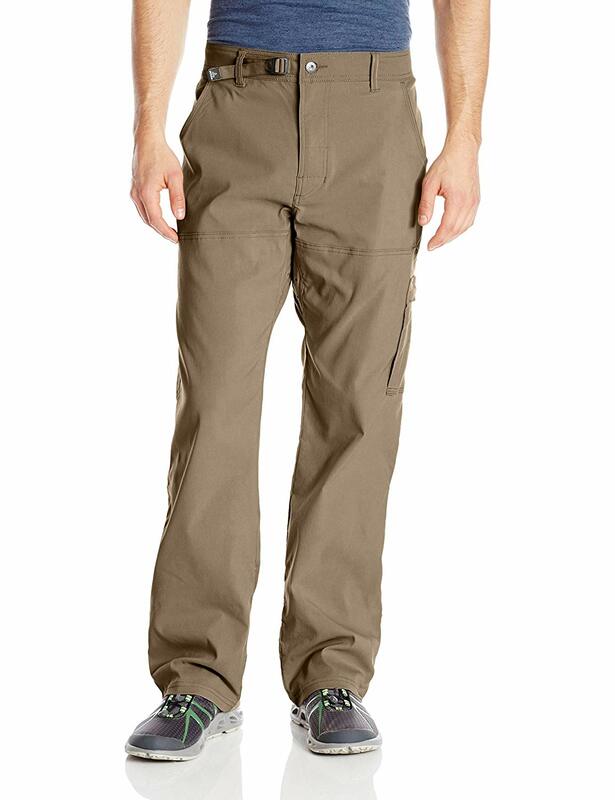 Styled after the original 5.11 Tactical style, these pants feature durable poly-cotton ripstop fabric. This lightweight blend allows for full range of movement. For quick access to your gear, the pants are equipped with plenty of pockets. On the right side, you have access to a knife pocket. 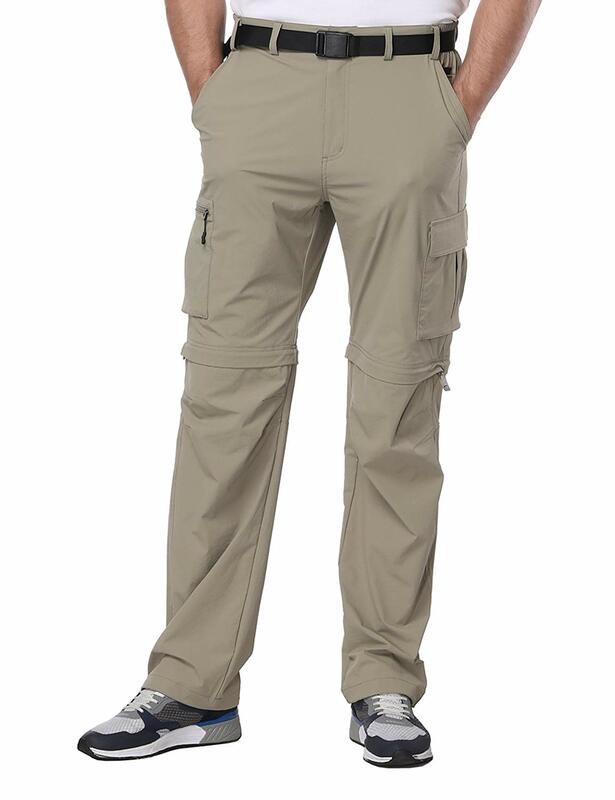 Cargo pants are sewn onto both of the thighs with a magazine and cell phone pocket located above the left cargo pocket. This design kept the signature slash pockets at the back of the pants. Composed of 65% lightweight polyester and 35% polycotton ripstop, you have a clean-cut professional style that gets the job done. The pants are also equipped with an HT Teflon Wear Resistant Finish. This helps with stain and soil resistance. So, no matter what you end up doing, you will look good doing it. Thick belt loops can support the weight of additional equipment. Last but certainly not least, they have included their traditional clip loop at the front of the pants. This is great for the traditional 5.11 Tactical style. When it comes to colors, you have a great range of options. You can choose from black, tdu green, tdu khaki, coyote, and dark navy. Life’s short. Get out and move more often with Columbia’s Men’s Silver Ridge Stretch style. 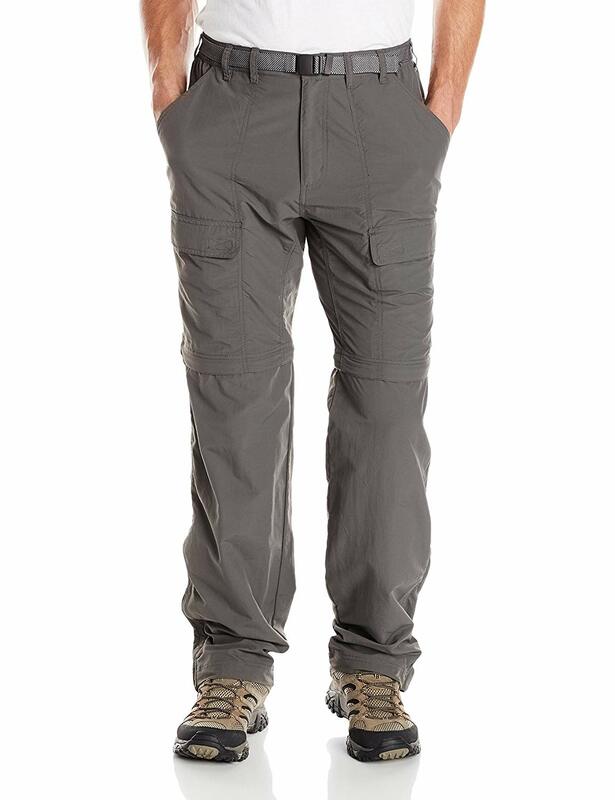 These have to be some of the best hiking pants for men. These sleek and stylish pants are ones you could easily take from the trail to the streets. The articulated knees offer a unique fit, advanced movement capabilities, and the cargo pockets offer a convenient place to store items. If you’re looking for a great pair of pants to take on a day hike or go fishing, these are the ones. It’s a bit of a conundrum how these wonderfully lightweight pants manage to fight off the cool mountain air. But they do. Thanks, Outdoor Research. If you’re a backpacker or a hiker, they present a unique option. When you are already loaded down with gear, they help to lighten the load a bit. You don’t want to be bogged down by your gear on the trail or anywhere else. However with this said, don’t think these can be used for fall or winter protection. While they are some of the best hiking pants for men, they don’t offer the grit for more extreme elements. A nylon and spandex body are great for breathability and flexibility. When it comes to heat dissipation, you will feel it in these Ferrosi pants. Slim fitting and narrow, the Prana Stretch Zion are another pair of hiking pants that could pass for the ordinary. But they are anything but. Designed with a comfortable nylon fabric and 3% spandex, these snug pants are made to move with you. While they are a little more hefty than your average pair of hiking pants, that might be helpful for some. We don’t recommend taking them out on summer hikes. 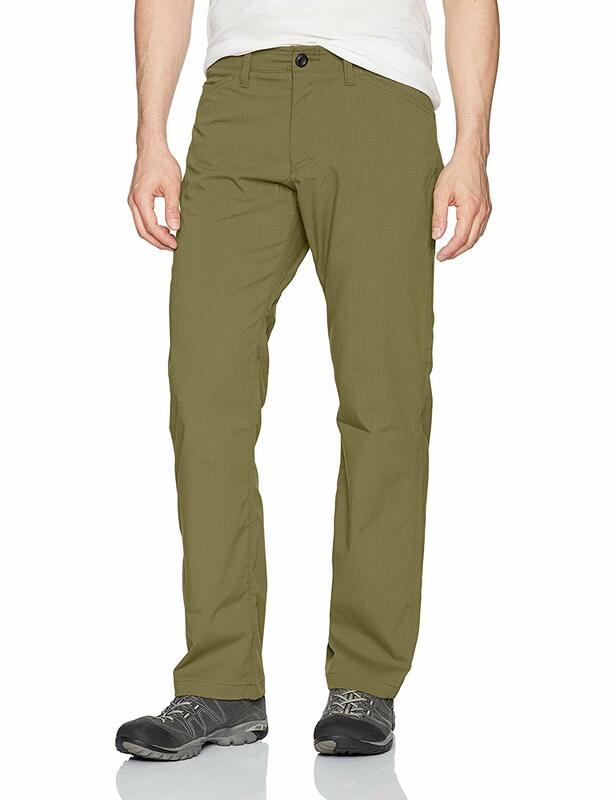 But if you’re looking for some of the best hiking pants for men for fall, these are perfect. When it comes to fit, they sit just below the waist, offer a little extra room in the seat and thigh, an adjustable waistband. Take these pants everywhere. From cool mountain trails to blazing desert hikes, these convertible trail pants have got you covered. They convert from pants to ten-inch inseam shorts when the conditions change. Crafted from a durable UPF30 sun protection woven nylon, these pants are quick drying and equipped with a Teflon fabric protector. The flat front offers an elasticated side waist and a webbing belt. You will also find two slash pockets at the front and two side cargo pockets to hold all of your gear. There are three different ways to gauge your fit. First, decide if you want an active and slim fit, a classic fit, or a relaxed one. Consider the Guide Pro Pants as an upgrade to the original technical guide pant. This style is made for performance, versatility, and equipped with great fabric for breathability. Featuring a streamlined fit and articulated kneed, they offer a low-profile option to hold all of your essentials. When it comes to use, take this style anywhere. While these are some of the best hiking pants for men, they are also great for scrambling, climbing, and general active use. This is Eddie Bauer’s most athletic fit yet. The pants fit close to your body without restricting your range of motion. Have you been searching for a versatile pair of pants? Well, Mier has just the thing you need. 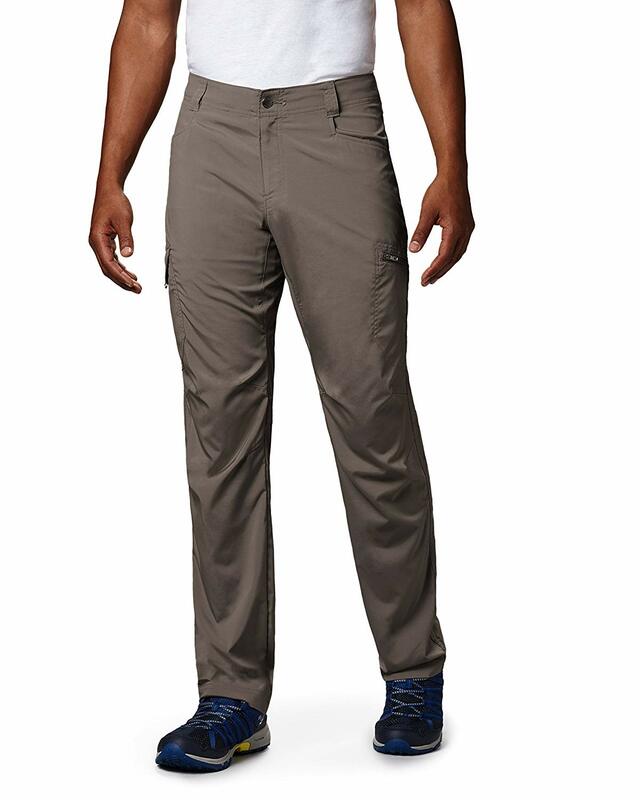 Equipped with high performance fabric, a lightweight structure, and smart features, these are easily some of the best hiking pants for men. They are quick drying, water resistant, have a zip off feature, multifunctional pockets, an elastic drawcord, articulated knees, and removable waist belt. Needless to say, these pants cover all the bases. They make a great travel accessory for spring, summer, and fall hiking and camping trips. Of all the brands on the market, Under Armour is renowned for their quality. 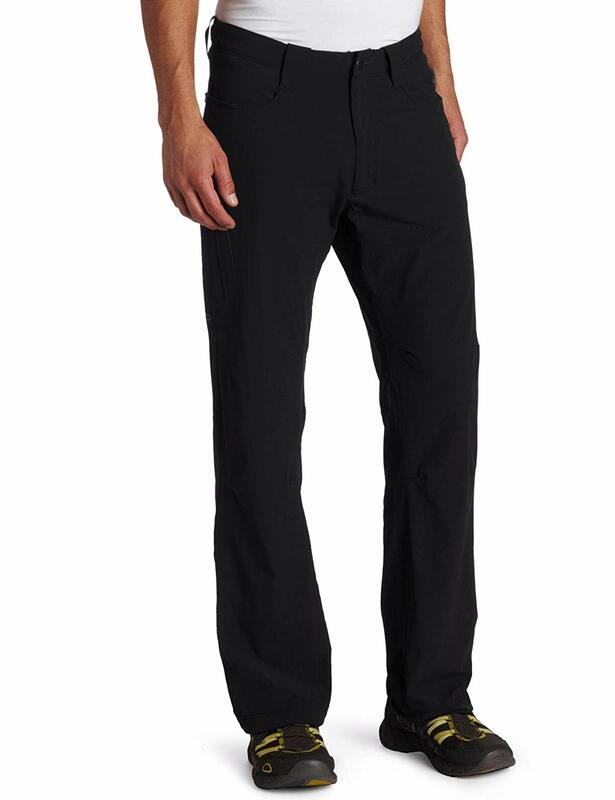 Needless to say, their Storm Covert style is among the best hiking pants for men. With storm technology, the fabric repels water well, all the while maintaining breathability. A durable ripstop fabric is tough enough to put up with anything along the trail. In addition, anti-odor technology prevents bacteria from growing. Last but certainly not least, the stretching waistband provides for optimal comfort. We hope you enjoyed reading our article on the best hiking pants for men. As you can see, the best styles are moving away from large, bulky styles and more towards sleek, lightweight ones that are more easy to manage. Unless you are embarking on an extremely difficult hike out in the elements, more often than not, you do not need heavy duty fabric pants. A simple pair of nylon pants with a water resistant fabric should do just fine. 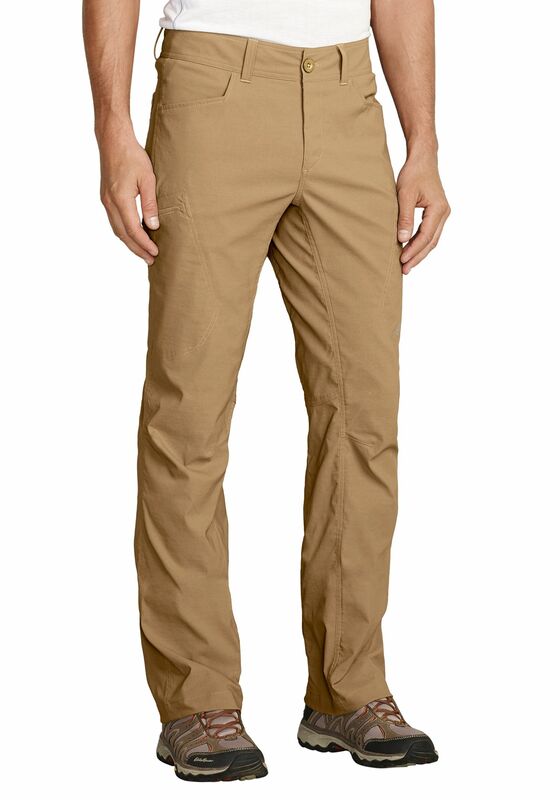 Do you have a favorite pair from our list of the best hiking pants for men? Let us know in the comment section below.